Very cool! We were very honored to help support the community and represent Central Fairfax Chamber of Commerce, Patriots Pub & Grill and Vision Idea Design for all the donations we collected. Over 1000 diapers were collected at our drop off location alone. 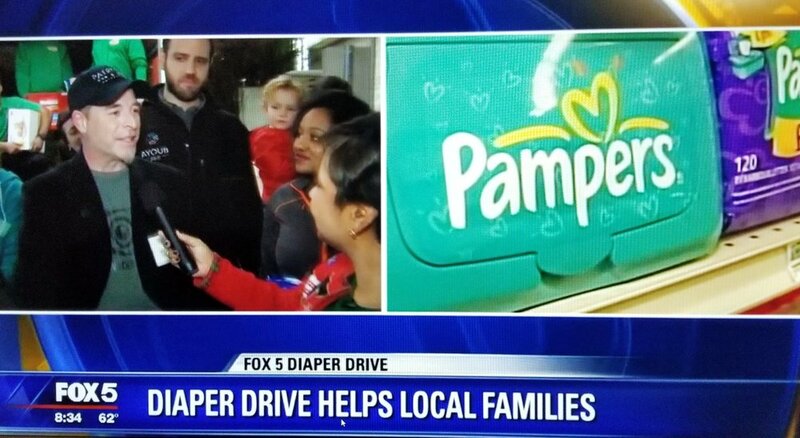 WASHINGTON (FOX 5 DC) - Earlier this season, FOX 5 DC asked local businesses to set up donation bins and help us collect diapers and wipes for needy families in the Washington, D.C. area. Today -- we can report that all of you came through! The bins that were set up were filled with much needed supplies. Friday is drop off day – the day we get all of those donations together and send them to the Greater DC Diaper Bank. Thank you all for all of the help! Your hard work paid off! - Some report leaving their babies in dirty diapers to help what they have last. - Diapers cost more in low income neighborhoods because in most cases there aren't big box stores where you can buy in bulk. - Babies living in poverty have higher incidences of diaper rash and skin ailments and this could be linked to them being left in soiled diapers. Older PostOur Friends Featured on WDVM News!